Started in 1994 by Rebbetzin Holly Pavlov, approximately 50 girls from all over the world (including the USA, the UK, Canada, South Africa, Europe, Brazil, and others) attend She'arim. The morning classes are a combination of one-on-one learning and in-depth lectures on topics such as Chumash, Navi, tefilla and others. The afternoon has more lecture style classes. "The Neve School of General Jewish Studies (SGJS), the major division of Neve Yerushalayim College, is designed for women who wish to increase their Jewish knowledge, improve their learning skills, and enhance their spiritual growth. For those with a limited Jewish studies background, Neve provides the basic knowledge necessary to lead a true and meaningful Jewish life. For those with a more extensive background, the Neve program affords the opportunity to acquire an in-depth knowledge of Jewish texts, a much greater understanding of the Jewish faith, and the skills necessary for independent Torah study. Students live on campus with 2 – 3 girls per room. 3 meals/day are provided. Midreshet Rachel v'Chaya College of Jewish Studies for Women is a program for English-speaking college graduates and professionals committed to personal and spiritual growth. The curriculum includes classes on topics such as: Chumash, Navi, Halacha, Contemporary Jewish Thought, Mussar, Tefillah and Emunah. They also provide classes in Hebrew language skills and a special lecture series on being a Jewish Woman. Classes are small and Midreshet Rachel's unique approach of representing teachers from all different religious outlooks allows the students to get to personally know people from different types of Orthodox communities and find the group that suits them best. Apartment style housing is provided, with 6 - 8 girls/apartment (2 girls/room). Lunch is provided during the school week, Sunday - Thursday. Students have to provide their own breakfast and dinner. 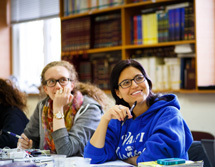 Eyaht, Aish HaTorah's College of Jewish Studies for Women, offers a unique, personalized, and exciting learning and living experience for young Jewish women. Eyaht is for the student who is searching for something that is simultaneously deep and meaningful, but also offers a great time, good food, and some old-fashioned fun. Eyaht students come from a variety of backgrounds, and hail from locations around the globe. They come for a week, a month, or more, to taste the joys and pleasures of traditional Judaism. Malchus is a Chabad seminary for women located in Geulah. Classes are taught Sunday - Wednesday afternoons from 2 pm - 5 pm and on Thursday from 12 pm - 3 pm. All Rabbis and Rebbetzins are volunteer teachers, so there are no fees for Malchus classes. Pop in for one class or stay for them all. Located in the beautiful neighborhood of Katamon, Mayanot Institute of Jewish Studies is comprised of women from diverse backgrounds studying together in an open-minded yet challenging environment. Students are given the opportunity to explore their Jewish heritage in a distinctively warm family-like setting within an incredible community. Mayanot offers two diverse tracks of learning to accommodate differing styles and levels. JSP - the Judaic Studies Program offers an abridgment of Jewish learning and thought with discussion-style classes, whereas our Yeshiva Program is designed for students with basic Hebrew skills, attracted to genuine yeshiva-style textual learning. Classes are kept small in size and individual tutoring and mentoring are always available. Mayanot is not about telling you how to lead your life; it's about empowering you to make your own informed choices. In line with this philosophy, there is absolutely no dress code or religious commitment required for attendance. 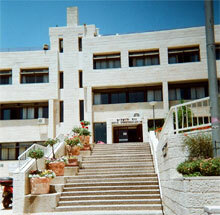 Simchat Shlomo is a Chassidish/spiritual seminary & yeshiva located in the Nachloat neighborhood of Jerusalem. "Inspired by Rabbi Shlomo Carlebach, Yeshivat Simchat Shlomo, is a place of spiritual growth for both men and women, respecting each person�s background and individual path. Food and housing are not provided. Machon Alte Seminary was established in 1977 as the only Chabad-Lubavitch School in Israel offering a challenging full-time academic program for young Jewish women seeking to discover and nourish their Jewish roots. 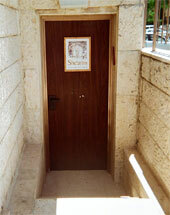 Machon Alte is located in the beautiful scenic and historic city of Safed. Surrounded by the green hills of the Galilee, away from the hustle and bustle of city life distractions, it is an ideal place for study and contemplation.